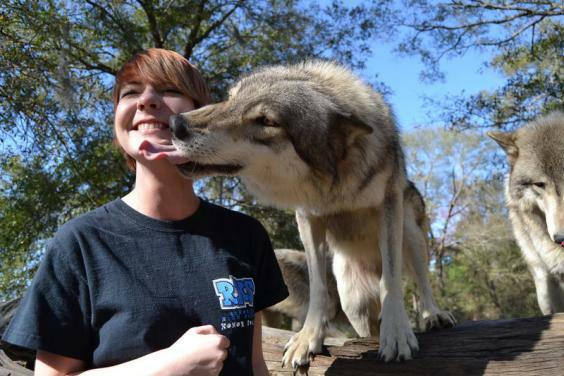 Seacrest Wolf Preserve, Inc. where wolves and humans connect in nature! We offer the rarest opportunity in the lower 48 states, Alaska, or Canada, to experience wolves up close and personal. This unforgettable adventure takes visitors on walking tours through large 2 & 3 acre natural habitats that are home to Gray, Arctic, and British Columbian wolves. Visitors become part of the pack as they have exciting hands on interaction with the wolves and join in the great wolf howl. As visitors pose by the wolf den with the wolves, they are offered an extraordinary opportunity for photos with pure wolves. This amazing tour includes valuable scientific information about the wolves, and humorous and moving stories of the wolf families that call Seacrest home. Along the way, visitors are sure to have their hearts stolen by one of the Seacrest wolves that they encounter. The tour provides participants with knee issues rustic logs to sit on and includes a break mid-way through the tour for restrooms and concessions. The Seacrest gift shop offers fun shopping opportunities for all things "Wolfy" including unique wildlife and Native American jewelry, clothing, hats, wolf collectibles and much more. Wolf Encounter Tours last approximately 2 to 4 hours. IMMEDIATELY FOLLOWING the Wolf Encounters, tour participants have fun meeting and taking photos with the small animals on the SMALL ANIMAL ADVENTURE appropriate for all ages. 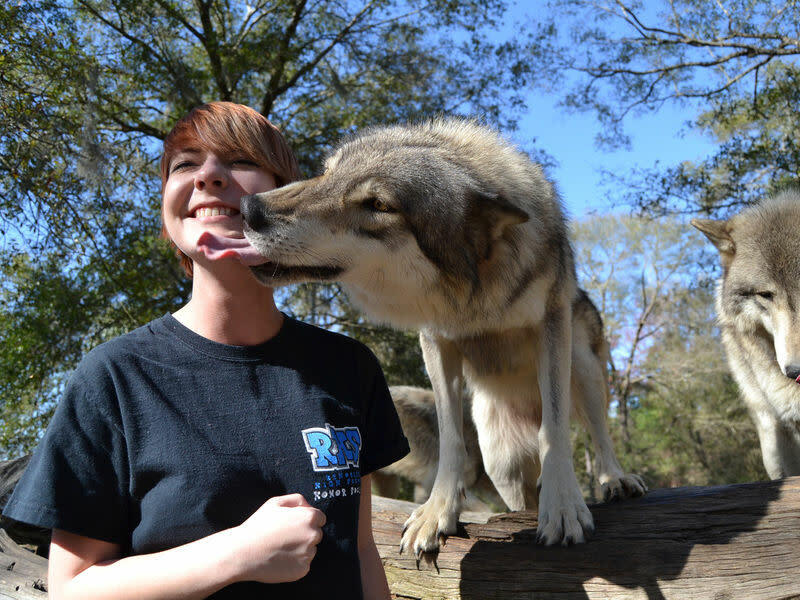 Tour fees for ADULTS AGES 12 & UP $25 PER PERSON, CHILDREN AGES 6-11 $15 PER PERSON SMALL ANIMAL ADVENTURE FOR CHILDREN AGES 5 & UNDER (AS THEY ARE NOT AGE APPRORIATE FOR THE WOLF ENCOUNTER TOUR) $5 PER PERSON, ADULTS AGES 12 & UP $8 PER PERSON. All public Saturday tours, by appointment only, are made by calling the wolf preserve at 850-773-2897. Also offered is a unique private one on one VIP tour with the wolves. Please visit our website for details and information relative to other tour opportunities. Seacrest offers a unique camping experience near the wolves by reservation only!